Depending on your own sensitivity, a Shamanic Healing will be experienced like, a non-intrusive energy clearing, or an energy restoration. However, what is actually happening can be quite powerful and fundamental. The Practitioner is either using drums, or rattles, as a sonic means to access a Shamanic State of Consciousness. This is a receptive state that enables access to guides and helping spirits. The spirit team then guides the session. Shamanic Healing can also involve retrieving information from guides on various afflictions, or provide useful information to help you make decisions. Sometimes a little assistance from our ‘friends’ can help us make tweaks that can change the course of our lives – so they are happy to provide some guidance where necessary. Sometimes, we are influenced by conflicting desires that are not our own. Such Spirit influences can cause us to adopt undesired habits or personality traits. Removing spirit influence can lift a very heavy burden from us. Relaxation before your session can assist your ability to relax deeply and let go during the session. Also, let us know if there are any concerns, doubts and fears that you may have regarding the session. There is nothing to worry about as you are always in control and fully present throughout the session (with your eyes closed and lying down mostly). No alcohol the day before, on the day, and preferably a few days after a healing. Also please try to drink less caffeine before the session. Our Soul energies can fragment and get temporarily lost to us. This can happen with simple shocks, or setbacks, or accidents and can impair our ability to energise ourselves. See the section on Soul Retrieval below for further details. Getting these fragments back can transform our energy states and much more. For those that need the background. The wisdom that shows us how to access our own innate guidance and healing is once again available to those willing to listen. Our organs, cells and bodies have the ability to tell us what is needed to restore balance. In those circumstances where a person has not been fortunate enough to develop the sense acuity to commune with the body or Soul then there are alternative sources of help available. We might have "contracts" with plants spirits, animal spirits, and each other, to work together to restore balance. The spirits of plants, animals, "higher realm" guides, and the energies encoded in sacred geometry are powerful allies, and we meet them fully when we place ourselves in our highest sovereign state and treat them as equals. For those who have been trained to access them, plants and animal spirits can provide a gateway to access realms where that communication with our bodies and our souls, and spirit guides, can take place. This should not replace, but rather augment our own sovereign authority. A Healing typically takes 1 hour for the standard session or 90 mins plus for a deep clearing, depending on how long the intro talk needs to be and what the guides suggest needs to be done. If this is your first time, then please book the Deep Cleansing session. Also keep an open mind, since, for some people, it can seem a little weird having a stranger shake a rattle or bang a drum around them, whilst performing odd rituals. If you experience a Soul Retrieval then there may be some gentle integration needed after a session (which can take a day to a week to work through), to help integrate whatever experience caused the soul to fragment initially. Quiet time to reflect and a long walk on the beach or in a park is always good after a session, if at all possible. You will not usually be told what was removed, or the circumstances that caused your Soul to Fragment. Spiritual Intrusion describes the phenomena that causes a person’s energy field to weaken or to become depleted. Intrusions can ‘attach’ to a person’s field. Though this is not the sole cause of energy field depletion. Intrusions appear in many forms and if they remain unchecked, may deplete the field enough to leave the body susceptible to disease and illness. They normally affect the weakest area of your energy field, but can interfere with any part of the body or field regardless of where they are located. Physical symptoms can result from such intrusions – some systems believe that all physical symptoms have metaphysical causes. Usually eat up psychic debris and waste but can also attach to already weakened energy fields opportunistically. People who are not aware of their own energetic boundaries can create dynamics where their own power is leached from them by other people or this energy can be given unintentionally to the things we put our focus on or give our attention to. People whose state of hardship becomes too much for them to handle can become emotionally and energetically drained and due to lack of awareness may seek other people as their source of energy. Institutions, organisations and governments can impose energetic servitude which weakens one’s energy field; so can extreme religions and draconian business practices. DIRECT darts can be caused by ‘psychic attack’ attach intentionally or unintentionally and these are quite rare. The negative circling thoughts you tell yourself can weaken your energy field. Also, other people’s negative thoughts of you in your presence does this as well. A weakened energy field is more susceptible to Intrusions. Empathy puts you in energetic resonance to the person you are focusing on and if they are afflicted in someway then you make yourself an energetic match to the affliction. It’s vary hard for Humans NOT to be compassionate - but you should understand the energetic cost to you. Note when someone is in pain or suffering or complaining about symptoms or telling their story, they may unconsciously dump their negative energy onto you and this could either pass intrusions or weaken your energy field leaving you susceptible to intrusions. Healthcare providers have to be aware of being dumped on. Indigenous cultures consider this sort of Shamanic knowledge as essential for everyone and not a luxury for the few. Shamanic Energy Training can help ride traumas with no soul loss. Soul Portion Loss occurs when our experience of events causes us to partially or completely disassociate from our body. In many cases this will cause a portion of the Soul to fragment and dislodge from the body’s energy field. Soul Portion loss is a contributing factor to power loss and also a contributing factor to chronic fatigue and other debilitating symptoms. Many people are running on a reduced percentage of their power due to Soul fragmentation. Soul Portions generally want to come back. Crossing over deceased spirits. Usually done as compassionate work - pro bono. There are times when the confusion of death requires an intervention. When a person no longer accesses their Spirit Animal, nor listens to its guidance, (mostly due to not knowing of it's existence); it eventually leaves them. 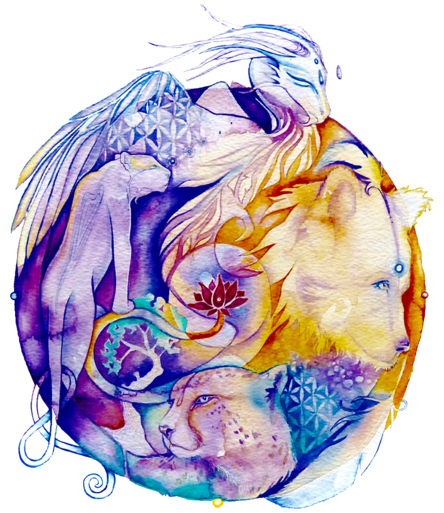 Reconnecting a person back with their Spirit Animals can offer amazing healing opportunities. Helping you change the energetic causes of physical symptoms or seek further information as to the underlying causes and, where necessary, providing information about the lesson being learnt. In those instances where clarity, to help decide the right course of action, is needed; the helping and compassionate spirits can provide surprisingly useful insight and information. All of the services and modalities listed here can be provided at a distance or remote healing, where the client in NOT physically present during the healing session. Doctoring is where the Shamanic Practitioner journeys to, or merges with, their compassionate Spirit Allies to collect healing energies for the client for their specific ailment or illness, and transmit these through words, songs or movement. It comes out in the free and limitless manner of their dancing, movement and singing expression. However, as we grow into adulthood we tend to lose this connection, becoming ever more out of touch with our wild and natural nature, until we no longer remember the song our soul came in with, the one we first sang, the one that returns us to our soul’s path. Songs are sung as an expression of a sacred process, relationship and understanding. They can be to honour the earth, the spirits or for communication, a healing or even a divination. SONG Doctoring is a healing technique, similar to WORD doctoring, where the practitioner journeys to helping Spirit Allies, and receives a song for the client. The healer then sings it over the client, and teaches the client to sing the song for themselves. The vibrational healing power is embedded within the words, melody and rhythm, traveling through the medium of the intention of the practitioner and the client. The technique of Word Doctoring actively engages the client, the Practitioner and healing words. The Practitioner journeys to helping spirits and brings back words, sounds or utterances, which are imbued with healing energy, for the client's particular problem and teaches them to the client, unleashing their healing power - much like a mantra. The client is usually told the frequency, cadence and duration for which they have to repeat these powerful utterances. We are all aware of the healing power of songs to lift our moods and brighten our spirits. They can move us emotionally and have the power to create disturbance or sublime bliss. Songs can be channeled from our own souls and we can transmute and transmit our emotions into sounds, words and rhythms. Traditional cultures still use song and dance to move into trance states and connect with spirits for healing and power. Young children can usually express their soul’s natural song. Song doctoring can bring about powerful healing. We can find songs for ourselves through the process of drumming and dancing, feeling what rises up in us and giving voice to the sounds the heart and soul wants us to utter. Shamanic Healing Practitioners can journey and ask one of the helping spirits they work with to send a song for our client. Dancing can be used to tell a story, to encapsulate and convey the meaning of an emotion, or to express the joy and elation of our being. Many traditional and modern healing techniques incorporate dancing, in which the body is allowed to dictate the way and manner it wants to move, to free itself from energetic blockages. With DANCE doctoring, the practitioner will usually bring back a set of movements in order to transmit the healing from the guide or compassionate spirit. Sound, smoke, and light frequencies all exist in vibrational form, between the physical and etheric realms. This makes them perfect mediums to transmit intention. 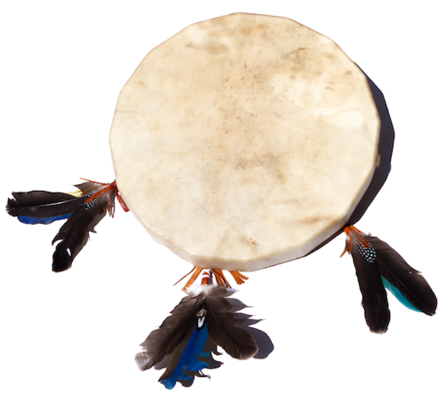 Drums have been used in many traditions to help create sacred spaces, journey to other realms and heal. Some traditions maintain that no ceremony is possible without the presence of a sacred drum. Drums, can be imbued with the spirits of the once living creatures that were used in its creation: the spirit of the wood surround, animal hide, and other materials used in the drum and stick. It is also possible to merge with and transmit healing from compassionate spirits via sacred drums. Drums, like rattles, are an excellent means of sonic driving to create a shamanic state of conscious. When the correct cadence is used, this creates a carrier frequency to assist in traversing non ordinary reality. Connecting to the spirit of the drum and the spirits of the materials is one dimensional aspect of using drums. Another dimension is working with additional helping spirits. Our drums have been birthed in a sacred ceremony from their inception, creation and awakening. The Republic of Tuva, just outside of Mongolia, is home to an ancient tradition of Shamans that have shared their drum healing techniques with the Foundation for Shamanic Studies - from whom I learned this technique. Tuvan drum Healing can be used for chronic pain or physical illness, using the power of the helping spirits acting through the drum to help facilitate healing. Sky signals are used to call upper world beings to facilitate the healing. Drumming is very useful for facilitating clients, who struggle to enter hypnotic states for therapy. Many of our private ceremonies will have an element of guided journeying facilitated by the medicine drum. Spirits can get stuck when they are in a contracted state of consciousness. In this state they have lost the ability to reason or explore other choices and options that might be available. This work provides the opportunity to wake them from their trance and guide them to a place that gets them help. Spirt influence can be slight or substantial, with the later leading to drastic personality changes. This can all happen when our personal vitality is low, and at such times when we are under the influence of heavy emotions or substances. However, some clients are already schooled in Shamanic Healing specifically ask for this service. Practitioners usually treat influencing spirits with a great deal of love and care as they can present like lost children - quite literally. As with a bully, we tend to find that those spirits that are labeled dark or demonic, have suffered greatly in their life and quite possibly are still reliving the trauma they experienced when they were alive. It is always useful to remember that everyone deserves a chance to be helped, grow wiser, receive understanding and kindness, be awoken from trances or delusions and given an opportunity to gain greater understanding or chance to do the right thing and or atone. Compassionate Depossession will mostly be a change to provide care for someone in need and for the person being influenced, its an opportunity to be restored to one's proper state of being. Much of the time the influencing Spirit is not aware that they have passed. Which means that this discovery can be quite a shock for them. What generally happens is that somehow they have been attracted to a weak field and managed to penetrate it, with out knowing that they have done so. Some believe that most people have at some stage or are experiencing some degree of spirit influence. If the influence is lite, it may not be noticed at all, you will be making your own decisions, and usually running your own life. Where the influence is greater than 50%, one may even notice personality changes to a lesser or greater degree. Practitioners will not usually tell a client that they have spirit influences, depending on the clients level of maturity and level of "awakening".